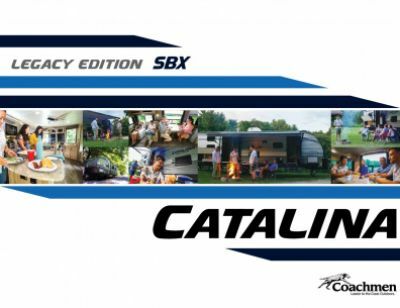 For great family fun and a lifetime of vacation memories, you can't beat the 2019 Coachmen Catalina SBX 321BHDS Travel Trailer! And at Tradewinds RV Center, we make it easy for you to own the RV of your dreams! We have sensationally low prices and a huge inventory of all the top brand RVs. From first look to complete financing, we take you every step of the way, so live your dream today! 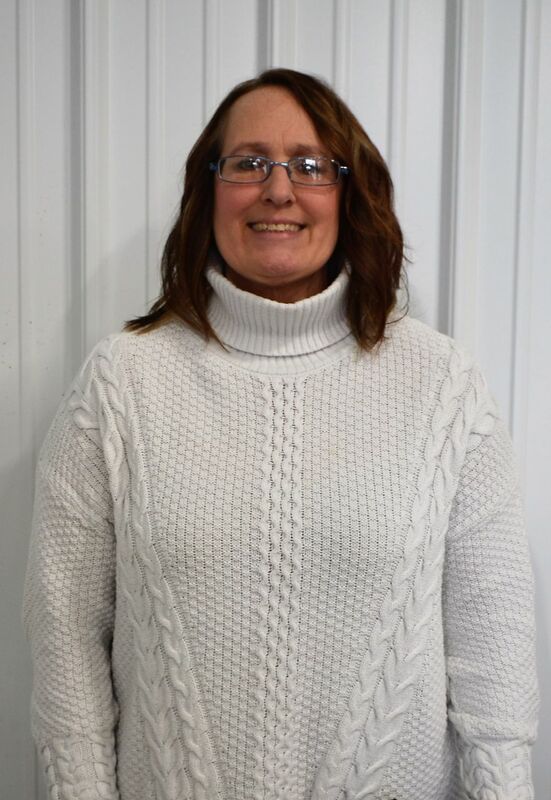 Stop in and see us at 4325 W Vienna Rd Clio Michigan 48420 or give us a call at 810-686-0710. We're one of the top RV dealers in Michigan, and Clio's full-service RV supercenter! And with our terrific 24/7 fast, reliable delivery service anywhere in the country, it doesn't matter where you live. We'll make your RV dream a reality in no time - and save you $1000s too! Take to the road and venture across the country without any issues! This RV has a hitch weight of 790 lbs. and GVWR of 9500 lbs. You'll want to place your camping chairs and picnic table next to the camper, as the 21' 0" awning will give you shade and protection from the elements! Whether it's a rejuvenating nap during the day or a full night's sleep after the sun goes down, there's plenty of comfy accommodations for everyone! This Travel Trailer can sleep up to 7 people in cozy comfort. Especially nice is the roomy Queen bed in the master bedroom! Say it's night and you have the sudden urge to go to the bathroom. Walking all the way to the chilly, damp communal bathroom in the dark doesn't sound like fun, does it? 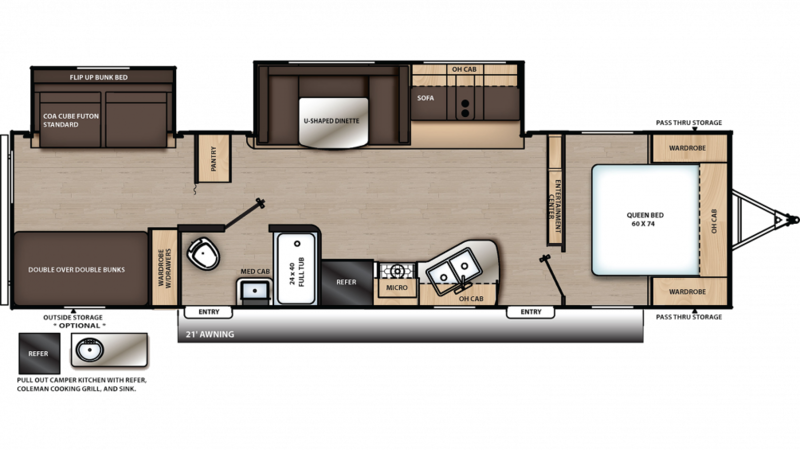 Luckily for you, this RV includes a full bathroom, complete with a Marine Foot Flush toilet and a roomy shower! The 40 lbs. of LP tank capacity provide plenty of hot water for washes, shaves, and showers, while the used water and wastewater are conveniently stored in the 40 gallon gray water tank and the 30 gallon black water tank. In addition to the handsome master bedroom, this RV sports a roomy bunkhouse for family and friends to use! It's convenient, comfortable, and everyone will enjoy a great night's sleep! Inside you'll find extra comfy Bunkbeds!